i think that, tonight, i'm going to take the time to do art instead. have a wonderful fourth! people do some funny stuff on the fourth of july, get out and go see that. i will be indoors, peeling rhubarb. 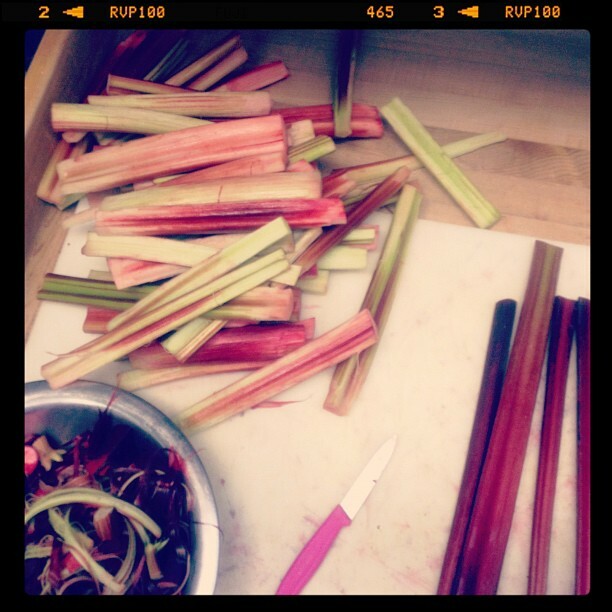 but it's not all bad, because rhubarb is pretty to look at and peeling it feels strangely satisfying. but you! go sit in the sun, read a magazine, drink cold beer, anything you want to do to have a grand ol' time. and then consider shortcake. it is, of course, one of the greatest summer desserts ever in the history of dessert. 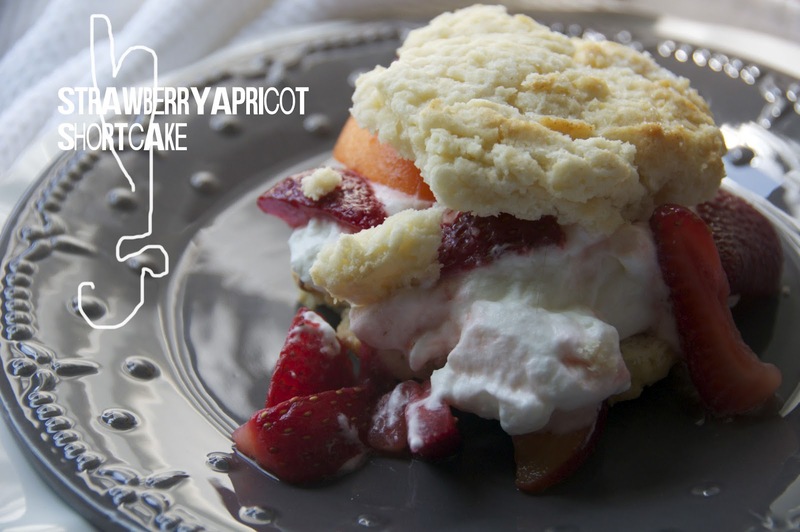 it is just too good, too perfect a combination...tender vanilla scented shortcake, sweet and punchy summer fruit, and fresh whipped cream, barely sweetened. ok. i'm sticking to my beginning words and putting this computer device to bed, and getting out the blank paper and some good pens. i'll leave you with what some other people are saying about strawberry apricot shortcakes. "...Oh right, right, of course. 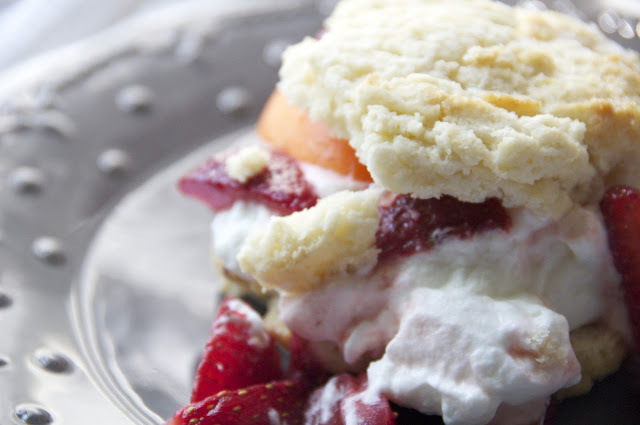 The shortcake, it was just out of this world, darling." 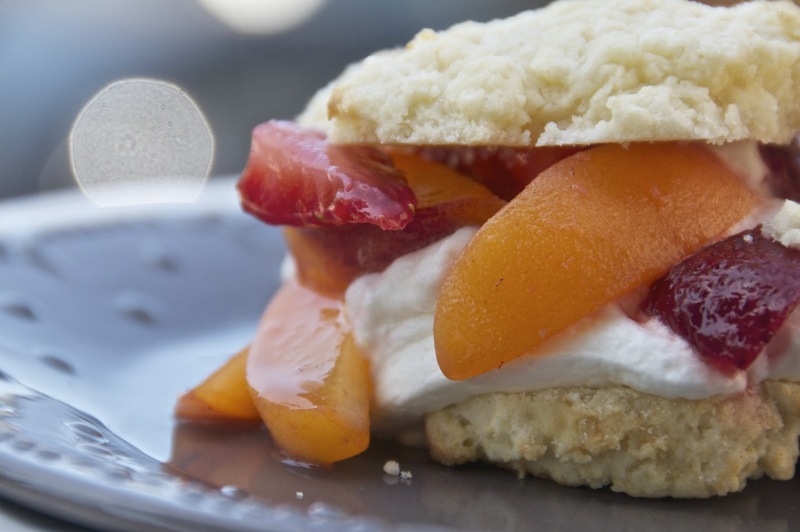 "if you leave one of these shortcakes out on the counter instead of a half-eaten apple, we'll consider not driving you crazy for the rest of your life." "I'd definitely have to think twice." for the biscuits: preheat the oven to 375 degrees F. in a large bowl, whisk together flour, sugar, baking powder, and salt. in a small bowl, whisk together egg, vanilla, and heavy cream. cut the cold butter into small pieces and cut into the flour mixture with a bench scraper, pastry cutter, or your fingertips. work quickly, keeping the butter cold. the mixture should look like coarse crumbs. make a well in the center of the butter and flour mix and pour in the wet ingredients. mix until the dough just comes together. dump out onto a floured surface and ring it together with your hands. knead a couple times. pat into a rectangle a little over an inch thick, and cut into 6 equal pieces. you can also (as i did), scoop rounded mounds of dough using a 1/4 cup ice cream scoop and arrange on a baking sheet lined with parchment paper. 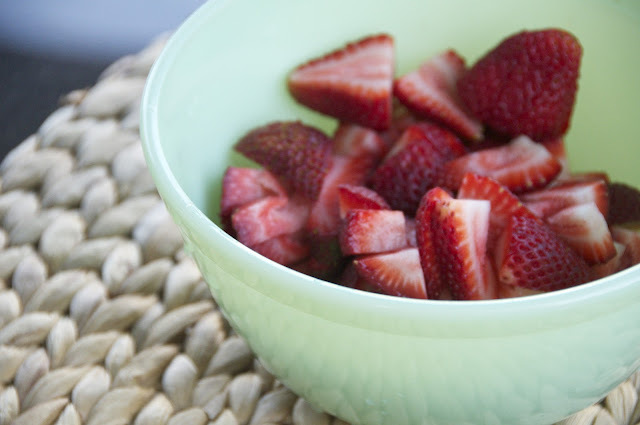 sprinkle the tops with sugar and bake for 15-20 minutes until browned. 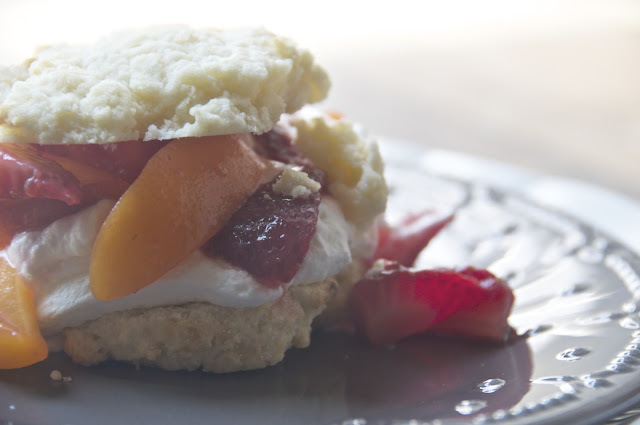 while the shortcakes bake, toss the strawberries and apricot slices with the sugar and lemon juice. let stand and macerate for a bit. whip the cream to soft peaks. split the shortcakes in half horizontally and place the bottoms on plates. spoon a large dollop of whipped cream on the bottoms, then heap the fruit over the cream, and finally top with the biscuit tops. serve and enjoy immediately. it makes me so happy that you quoted the countess. nice.